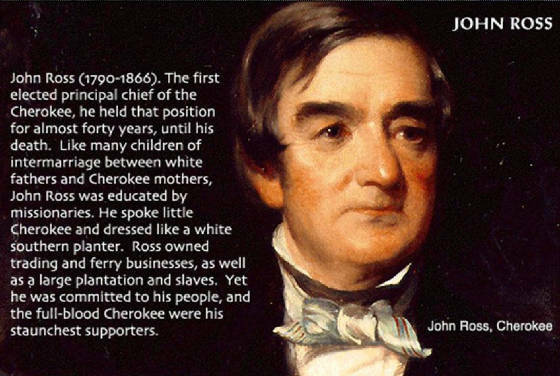 When the Cherokee nation, numbering as many as 17,000 people, were forced west in 1838, they were led by Principal Chief John Ross. Ross had lost his long political battle to overturn the Treaty of New Echota, but the dedicated leader would continue to serve his grateful nation up to the hour of his death in 1866. Chief John Ross was only one-eighth Cherokee and seven-eighths Scot. He was as much a Scotsman as his great opponent, Andrew Jackson, and fought just as tenaciously. But he was forever Cherokee at heart. Ross was from a prominent trading family that had settled before the American Revolution at what is currently Rossville, Georgia, just across the line from Chattanooga, Tennessee. He was educated at a white man’s school at Kingston, Tennessee, and began his public career at the age of 19 when he was entrusted by Indian Agent Return Meigs with an important mission to the Arkansas Cherokee in 1809. Ross fought alongside Andrew "Old Hickory" Jackson, Sam Houston, and Davy Crockett in the War of 1812, and at the Battle of Horseshoe Bend, in a daring act of bravery, he swam the river to capture the Creeks’ canoes which were then used in an attack upon the enemy’s fort. More than anyone else, Ross was responsible for remodeling the Cherokee tribal government into a miniature republic in 1820. Under the arrangement, the nation was divided into eight districts. Each was entitled to send four representatives to the Cherokee national legislature, which met at New Echota, the capital, near present-day Calhoun, Georgia. Meanwhile, Sequoyah had invented his alphabet, and overnight, the Cherokee became a literate race. 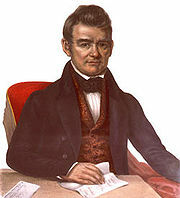 This led, in 1828, to the adoption of a constitution predicated on the Cherokee assumption of sovereignty, development of a system of industries and home education, and establishment of a national press. This bold step drew the immediate wrath of authorities and people of Georgia and set off the first argument for state’s rights, with Georgia asking the United States government what it proposed to do about the “erection of a separate government within the limits of a sovereign state.” As the battle raged, Ross dreamed that one day a new star would be added to the flag of the United States and that it would stand for a state the like of which has not yet been received into the Union—an Indian state, the State of Cherokee. 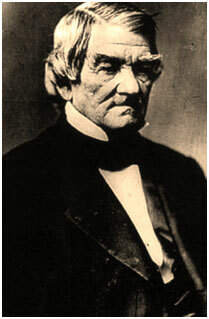 Instead, John Ross found himself spending most of his time in Washington fighting the removal of the Cherokee to the West. His knowledge of the writings of Jefferson enabled the Cherokee to present memorials of dignity and moving appeal to Congress. However, he lost the battle by one vote. Throughout the long hard battle, Ross’ people trusted him implicitly. 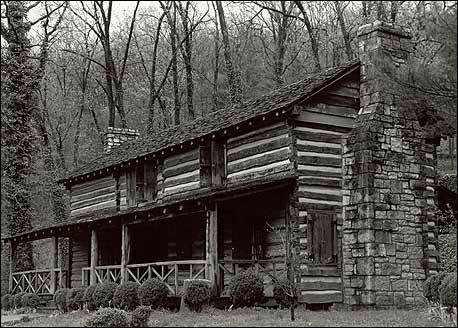 (John Ross House) This log house is located in Rossville, Georgia, on the Georgia-Tennessee border near Chattanooga. It consists of two rooms on each floor separated by a central breezeway, now enclosed, and was built in the 1790s by John Ross's grandfather. Ross lived here with his grandparents as a boy and the house later served as a headquarters for the enterprises that made him a rich man. The property also included a large farm, worked by slaves. Ross also owned a supply depot and warehouse at Ross's Landing (now in Chattanooga). After their arrival in the Indian Territory, Ross was chosen chief of the united Cherokee Nation and held that office until his death in Washington on August 1, 1866, at the age of 76. Upon learning of his death, the Cherokee Nation passed a memorial resolution that praised him as a man of moral conviction and selfless leadership, dedicated to the rule of law and the importance of education. The resolution also acknowledged his important place in the history of his people: “His works are inseparable from the history of the Cherokee people for nearly half a century, while his example in the daily walks of life will linger in the future and whisper words of hope, temperance, and charity in the years of posterity.” Resolutions were also passed for bringing his body from Washington at the expense of the Cherokee Nation and provided for suitable funeral rites and burial, in order “that his remains should rest among those he so long served.” He was buried at Park Hill, Oklahoma, his home, but there are descendants of Chief John Ross living in the Eastern Band of Cherokee Nation in Western North Carolina. 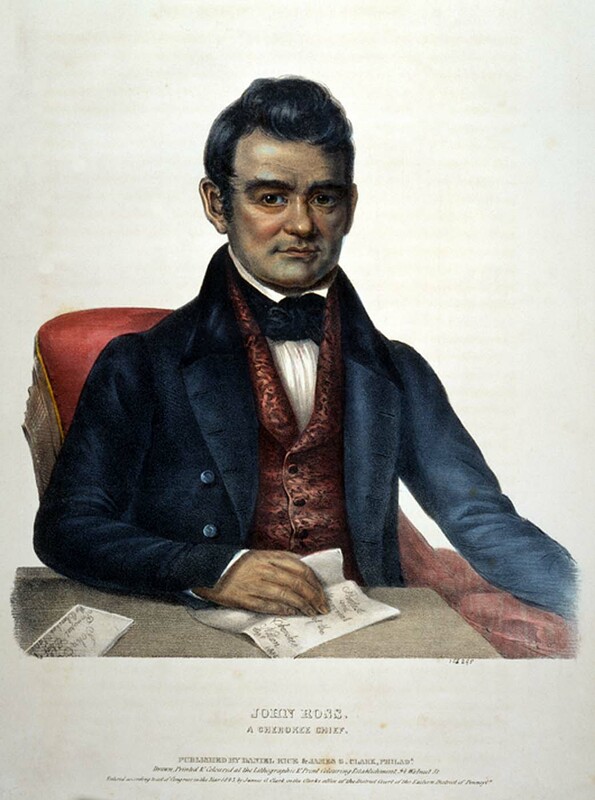 Sources: Eastern Band of Cherokee Nation; John Ross, a Cherokee Chief, Lithographic & Print Coloring Establishment, copyright 1843. Prints and Photographs Division. Reproduction Number: LC-USZC4-3156. Moulton does justice by presenting the Ross position and the outcome that spawned a bloody-factional Cherokee feud--which continued into the American Civil War. Moulton’s insight also includes recollections and the death of Ross in 1866. "This definitive study of Cherokee Chief John Ross is highly recommended for the individual that is remotely interested in: Cherokee history and facts, the Cherokee Nation, Native Americans, famous Cherokee chiefs, and general American history." Chief John Ross History, Cherokee Chief John Ross and the 1838 Trail of Tears, Principal Chief John Ross Photo, Photos, Facts, Treaty of New Echota of 1835, Indian Removal Act 1830 Details, Picture, Picture, Photograph, and Photographs.